While I certainly didn’t live up to my hopes of publishing every day during this first week of National Poetry Month, I more or less lived up to any reality-based expectations I had of myself. However, hope springs eternal, so if all goes well, I will be sharing a new poet with you tomorrow, (but it could be a day or two later)! Late on this Sunday evening, I offer you some closing thoughts from Mary Oliver. What I loved in the beginning, I think, was mostly myself. Never mind that I had to, since somebody had to. I mean the ones that thought to rule my heart. I cast them out, I put them on the mush pile. And I have become the child of the clouds, and of hope. I have become the friend of the enemy, whoever that is. And what do I risk to tell you this, which is all I know? Love yourself. Then forget it. Then, love the world. This is a poet writing from a place of maturity, peace, and wisdom. She has struggled; she has grown; she has something to offer us. Do you know who is willing to take risks and be vulnerable by sharing all they know? Those who trust in their own value and their place in the world. The poet has reached that stage and I am grateful for it. This poem has found it’s way into my heart by alluding to so much spiritual (and scriptural) wisdom in whimsical language, and short sentences. They remind me of things I am just beginning to know. Nothing is wasted. Everything belongs. Love your enemy as yourself. As your ego dies, you are reborn. You are important, but you aren’t important at all. Be light. Be free. Be Love. The poet Mary Oliver is taking us in a different direction today. Though nature is her solace and her joy, it isn’t just those things. It is also her empowerment. By being in the outer world – observing it, knowing it, respecting it – she is able to bring those skills to her inner world. Nature changed her and so she was able to change her life. Mary Oliver did not have an easy childhood, and a loving home. Her young-adult leaving was not met with a joyful sendoff, but with terrible guilt and shame. Pursuing her happiness would ruin their perfect sadness. I believe it was her hours and days and weeks and months spent in the woods, watching how each living thing took root, or flight and took care of itself that allowed her to do the same when the time came. I hit my first snag, just two days in to National Poetry Month, but as a bonus, you get two Mary Oliver poems today. While nature continues to be her primary motif, the theme is slightly different. See if you can recognize what has shifted in her attitude. her head in the clouds again. very foolish, if not the other one. Obviously, Oliver has been aroused to write about a completely different experience in nature. Instead of awe and reverence, the company of trees evokes a lightheartedness in the poet. She forgets any limitations put upon her by her age, her friends, or even her species and responds to the arboreal invitations with joyful enthusiasm. While I have little experience with any trees but palm trees, which are no good for climbing, I have a lot of experience with the emotions they bring about in her. I cannot count the number of days I have spent at the beach “roaring with laughter” and “half crazy with the wonder.” From surfing with Tim and the kids, to rolling in the shore break with my siblings (when we were small and even just last year), to playing frisbee up to our knees in the waves, the effervescence of the waves seems to bubble up within me as well, producing an overflow of emotion. In those moments, held by the water and waves, the point of our existence together seems to be nothing but joy. What nature helps you remember your wild? Where do you find your inner child? What still leaves you breathless, laughing and aware of the absurdity of our overly-cultured and sanitized existence? When have you last gotten so “outside” your comfort zone that you giggled from the rediscovery of an original home ? Oliver writes about more than just nature, which we will begin to explore tomorrow. “Thirst” by Mary Oliver is written in a very different form than yesterday’s “Mindful,” but they share a similar theme. According to Oliver, nature is our first and best teacher and according to Franciscan theologians, nature was the very first Bible. God did not rely on theologians, logic, scripture, or even Jesus to reveal God’s self to humanity. Knowledge of the Divine has been offered to us all along, since we first had eyes to see and ears to hear. We need only use them, Oliver reminds us in her poetry. For the first thirty-plus years of my life, unlike the poet, I was a “quick scholar,” happily hunched over my books. As a child, I spent my recesses in the library, until they shooed me out the door. I never wanted to leave when the bell rang. Books were my way, my truth and my light, but not any more. In the last decades, I have tried to become a “good scholar” like Oliver, learning from the created world and trusting my own experiences as much as anything else. It has not been an easy unlearning, but I persevere, praying for a “little more time” to let Love do its work in and through me. I cannot believe it is April 1 and National Poetry Month is upon us. While I want to keep up my annual commitment to sharing a daily poem, it’s going to be a challenge this year. I’m “on the road” thirteen of the next thirty days, but I want to do it if only for myself, because I love poetry. I also want to do it for any readers who love poetry, but also for the ones who don’t love it yet. I am making one significant shift this year. Instead of trying to include a wide variety of poets, I am focusing on the poets I return to again and again, the ones who have fed my soul and changed my life. I may even include poems I have shared in previous years, because one reading is never enough. This first week, I am honoring Mary Oliver, who passed away in January of this year at the age of 83. Known affectionately around our place as “Molliver,” she was a poetic naturalist, more at home outside than in, more comfortable around animals than humans, more inclined to use fewer words than many. In other words, not much like me. And yet, the themes of her poetry speak deeply to me. She too is a seeker and rebel. “Molliver” also first came to mind because of my son Finn, who shares her love of nature and her deep way of seeing. What she captures in words, he captures in photographs. Like knows like and I have always thought that if their paths had crossed, they would have been great friends. I don’t think it’s any accident that the love of Mary’s life was the photographer Molly Malone Cook. Like knows like – in nature, in life, in love. So without further ado, here is my first poem in the National Poetry Month series, dedicated to the memory of Mary Oliver and the future of Finn Kirkpatrick. If you can, even for just a moment today, be mindful – of the light around you, the feel of the breeze on your skin, the warmth of the sun on your face, the sound of the birds out your window. Be a good scholar and grow wise – not in the ways of the world – but in the ways of the universe. Finn captures the “untrimmable light” of a sunrise rainbow over the Pacific Ocean. Mary Oliver, “Moliver,” from Blue Iris, 2014. I shared this poem a while ago with someone I love dearly. I read it and instantly thought of them, because I knew they would get it. Like Mary Oliver, they were born “to look, to listen,/ to lose” themselves in the natural world and they teach me by example to see the extraordinary in “the ordinary,/ the common, the very drab.” That’s the true gift I think, the one most of us leave unopened, when we prefer big and beautiful things and dismiss the “daily presentations” of grass and water and light. But it’s those little things that can save us every hour. I love how Moliver inverts our educational paradigm – claiming for herself the title of “good scholar” – who grows wise through her observance of nature, not simply through classes and books. This beloved of mine, the one with whom I shared this poem, is going through a rough patch these days, struggling to be mindful, lost instead in a sea of sea-doubt and fear. I don’t blame them; what they are going through is hard. I can listen, offer my love, a little practical advice, but mostly, I want to whisper in their ear: “Be mindful! Go find something to kill you with delight!” It won’t make their problems go away, but for that moment, it might make them smile and help them remember the gift they bring to the world – their ability to see and capture the magic so many of us pass by. Be a good scholar today. Go be delighted by something – in the sky or on the ground, in a bird’s call, or a baby’s laughter. Slow down enough to see it, hear it, fall in love with it, even if for just one moment. It won’t change anything, but it might change everything – eventually. Nature has wisdom for us all: the cycles of light and dark, new and old, death and rebirth, silence and noise, diversity is health; change is growth; imperfection is inherent, but so too is beauty and abundance. Watch and wait. It will come. P.S. For some of my readers, my use of the third person plural (they/their) for an individual, instead of the 3rd person singular (he/she/his/hers) may be bothersome. Sorry about that! But holiness is visible, entirely. but of course are not. Not decoration by any means. By next week the violets will be blooming. Anyway, this was my delicious walk in the rain. What was it actually about? Think about what it is that music is trying to say. Mary Oliver from Blue Horses, 2014. This is the second of Oliver’s poems on the subject of meditation that I wanted to share, but if you missed the first, here’s it is. Few people have a dedicated meditation practice, but many have experienced the “drift” that “Moliver” describes in this poem, a stream of thoughts that wander from where we are to somewhere else, for better, or worse. Meditation, at least the type I practice, is not so different from that. According to the teaching I have received, thoughts will come and the practice is to let them go, allowing them to pass by, like clouds in the sky. They may be stormy thoughts, full of rain and rage, or wispy ones that tempt you to linger and imagine all sorts of good things. It doesn’t matter that they come; don’t judge them (or yourself); just let them drift away, so you can return to the entirely visible holiness of the present moment. Remain there, until you find find you’ve drifted away again, “watching the clouds.” Then, just come back to the “invisible” Presence of God. This past weekend was a whirlwind of activity for Molly and me: 48 hours of flights and field hockey games, shared hotel rooms and food-on-the-go, lots of time for laughter, but little for silence. However, in the midst of it all, there was the inevitable “drift” towards holiness and gratitude. if you entertain a certain strict posture. Frankly, I prefer just to lounge under a tree. So why should I think I could ever be successful? hardy ascent and its uncompromising descent. heard of me, and never will, or ever need to. all that glorious, temporary stuff. The poet Mary Oliver, or “Moliver” as she is affectionately referred to around our house, is someone you will see pop up a few times this month. She is one of my favorites and there is a theme in her writing I’d like to explore with all of you: the sacrament of Nature, of being present in the moment however it arises and recognizing it for the holy gift it is. I think this poem is a great start. Meditation and its companion, mindfulness, are buzzwords these days. They are offered as a remedy for everything from stress to chronic pain, as relief from anxiety and exhaustion. They will help us lose weight, sleep well, and even become better “team players” at work and home! Ugh! It kind of drives me crazy, because developing a meditation practice for those things is like taking a prescription drug for its “off-label” side effects. We might experience a relief of our symptoms, but it’s not what it was made for and it’s definitely not going to cure the underlying cause. But I think Mary’s version of meditation might be just what the doctor ordered, in its gentle and holistic approach. Lie down somewhere beautiful and let your mind drift. Don’t cling to what you think you’re supposed to do, or feel, or experience. Let life pass you by for a moment, or two and see yourself in the midst of things, where “distance and time” have “never heard of me, and never will, or ever need to.” From that place, we might wake refreshed and perhaps even “cured” of what ailed us in the first place. We might even find ourselves grateful to be in our own bodies and a part of this beautiful world. Let this poem inspire you! It’s Spring! Go find a tree, a little patch of sunlight, a place where the breeze can kiss your face. Close your eyes and in the words of Rumi, allow yourself “to be silently drawn by the strange pull of what you really love,” which I hope is yourself and this beautiful, suffering world we live in. Post Script: I recently acquired a copy of “Moliver’s” newest book, Devotions, as a gift from Tim. I had been on the waiting list at the library for so long and when I finally got my hands on a copy, the weeks just flew by. On the last day it was in my possession, he caught me taking pictures of page after page on my cell phone. (Desperate times call for desperate measures! It took me months to get my hands on it the first time and I didn’t know how long I’d have to wait again.) However, two days later, it was in my mailbox. Though Tim generally supports my book-buying restraint, in this case, it deserved an exception. I highly recommend you put your name on the waiting list at your local library, or maybe even treat yourself to a copy! They check in, but they don’t check out! My little brain is constantly amazed at how certain themes invade our consciousness at different points in our lives. It’s like we open a Roach Motel in our minds and a breed of previously unrecognized (and perhaps even unwanted) ideas from the Universe just march right in, one after another. As promised, “They check in, but they never check out!” This convergence of divine wisdom changes us; the new ideas find a home and we are never the same again. 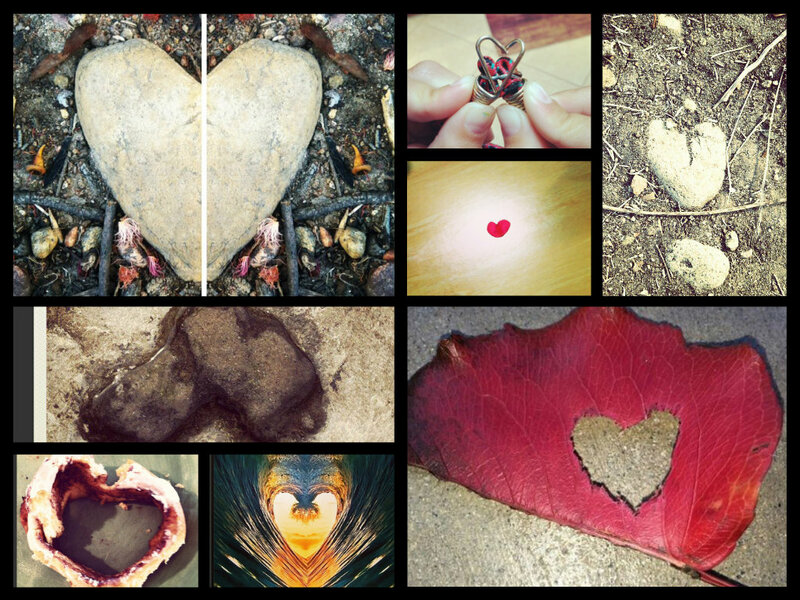 A couple of years ago, I began to see #Signs of Love, every day, all the time. Apparently, Love was what I needed to know. By encountering hearts everywhere, I understood that divine Love animates the world. Recognizing Love in everything from stones to sunlight, I began to love myself, my family, friends, and even strangers more. I had more Love. I was more loving. Opening my mind to the #Signs of Love changed my life. However, as time went on, I saw fewer and fewer #Signs of Love. At first I worried about the loss. “Where are my #signs? Where is the Love?” I wondered, but after a while, I got the message: Let go of what you think you need. When we are learning to walk, our parents do 90% of the work. As we get stronger and more independent, we need less “hands-on” assistance. In fact, too much help hinders us, making us dependent on something we don’t really need anymore, retarding our growth. So I came to accept that although I would really like them, I don’t need daily reminders of the power of Love from outside of me. Rather, with every heartbeat, I am reminded that Love comes from inside of me. I also receive countless #Signs of Love from all over the world, from friends, family and even strangers. They see Love and share it with me on Instagram, Facebook and Twitter. Truly, a divine economy. We share what we have in abundance, so please, keep them coming. It’s disconcerting, because I want to retort, “I am doing something with my life.” I’m raising a family; I’m teaching; I’m writing; I’m volunteering; I’m making a difference in my own little way. But it isn’t a silly, or insulting question, either, because frequently, I’m the one asking it. My life may be half over, but that means I still have a whole half to live. That’s great, but here’s the rub. When I was ten years old, I knew who and what I wanted to be. I wanted to be a wife and a mom. I wanted to read and write. I thought if I could do those things, I would be happy and I was right. I do those things and I am happy. But apparently, it isn’t enough, because the Roach Motel in my head says I can’t stay here. The problem is that I have no idea where I am supposed to go. Thirty years ago, the goals were clear. Today, not so much. That statement floored me. When was the last time you thought about it? “What makes me come alive?” What did you say then? What would you say now? We should think about it, because according to Brene Brown, it really matters. Meaningful work is a cornerstone of a meaningful life. We can’t be indifferent about it. Squandering our gifts, opting out of what brings us joy and purpose, deadens our souls and the souls of those around us. If we, as parents, bury ourselves alive, we are teaching our kids to do the same. I don’t want to do that. Keara, Finn and Molly are just getting started. Loving God, my husband, my kids, my family, my friends; praying; reading and studying about humanity, our struggle and spirit, where we’ve been and where we’re going. Writing and talking about the things that fill my heart and mind. Sharing what I know, what I have, and who I am. Taking time to be well: spiritually, physically, emotionally, intellectually and helping others to be well too. Encouraging, listening, journeying with people who are ahead of and aside and behind me on the way. Though I looked, I couldn’t really find a lucrative job description in there. If something occurs to you, let me know (really! ), because so far, what I’ve come up with is spiritual director, or modern day monk and I don’t think either of those career paths is going to pay the kids’ car insurance, or college tuition. That is the tension Tim and I haven’t worked out yet. How can I be truly alive, the center of a home that hums with energy and beats with love and contribute more significantly to the family’s financial stability? We’ve been stuck in a reductionist, either/or mentality, believing I have to choose one, or the other: get a job, or keep being alive. We are typically pretty smart people, which makes our lack of creativity on this subject so frustrating, but we are also stubborn, which opens up the possibility that an answer lies before us that we simply refuse to see. 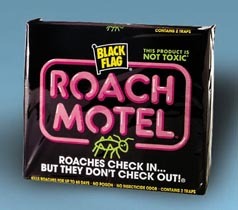 The Roach Motel keeps telling me there is a third way we simply haven’t discovered yet. To that end, we are taking a risk. In the fall, I will be starting a two-year program at The Rohr Institute. It is called the “Living School for Action and Contemplation,” describing itself as an “underground seminary” which empowers students “to live out their sacred soul task in their homes, workplaces, and all relationships, within a more spacious stance that is at once critical, collaborative, and joyful.” The school is based in New Mexico, but most learning is done online, with two weeks a year on campus. I will still be able to teach, to parent, to be present to my life here, while “coming alive” in a more intentional way. I haven’t shared our decision with many people, mostly because it feels a little foolish. I won’t finish with an additional degree, or improved job prospects. I’m afraid people will think Tim is signing off on it for my sake, that our complex and heartfelt decision will be reduced to “Happy wife, happy life.” I doubt myself and wonder if I am just putting off the inevitable job hunt, buying myself two more years of “not-choosing,” two more years of putting my own desires ahead of those of my children. They have everything they need and most of what they want, but there are many things left on the table. Some of them are silly like iphones; some are practical like laptops and some of them are so heartbreakingly beautiful, or simple, I want to cry. From attending art school without going into major debt to popping for a full-price movie ticket on a Friday night, I think, “If I could just die to myself, maybe I could make more of their dreams come true,” but then I take a deep breath and remember. My emotions might be real, but the fear is not. We live with an abundance of food, clothing, sunshine, education, opportunity, family and love. Scarcity is not our truth. When the Roach Motel says, “Listen” and I do, I come alive, thinking of all I will learn and experience in the years to come, the ways I will be challenged and changed and I pray that I bring it all back here to better serve the people I love the most (which includes all of you). I am loving and learning, praying and teaching, reading and writing, kissing and hugging and holding. I am breathing in and breathing out. I am moving forward, and falling back. I am reaching high and falling low. I am dreaming big and coming up short, day after day. Meanwhile, I am alive. Day 30: "A Voice from I Don't Know Where"